April?! Seriously. I have no words on how we are already done with Q1 of 2018! You know what this means…the beginning of a new challenge! 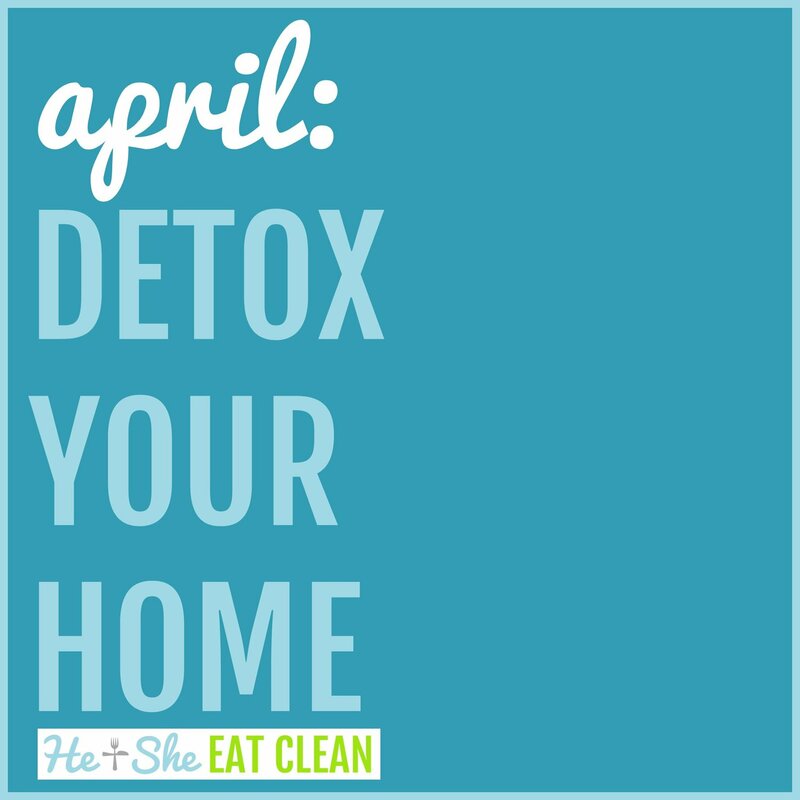 WHY INCLUDE THE HOME IN OUR DETOX CHALLENGE? >>>> If you are looking for the ultimate detox your home challenge, you must check out the newly opened Uncluttered 12-Week Course. It’s our favorite and will change your life! We’re so glad you asked. We spend quite a bit of time in our homes so it’s important to have a non-toxic environment there just as it is to have a non-toxic environment in our bodies. When our homes are clean and less cluttered, it’s easier to focus on other things that we need to get done and it makes it easier to relax! Spring is the perfect time to tackle a detox of our homes. Are your cleaning products really clean?